Jeepers Creepers, we have crawlers. I’m not talking about wriggly worms or drooling babies, I’m talking about your garden. There’s no rule that your garden must remain stagnant and rooted to the ground. 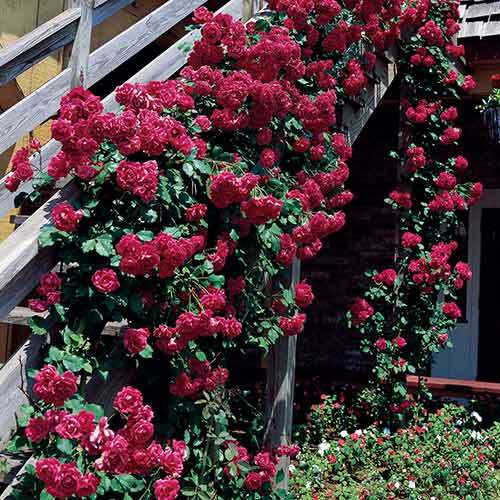 Raise your roses and honeysuckles to the Heavens with these twelve flowers. If you have other plants you think belong on this list, please feel free to head on over to our Facebook page and leave us a comment. We will gladly add them to this list. Before you start reading this amazing article consider reading our other article named: 10 Most Resilient Ground Covers For Your Garden I think you could have a seriously amazing garden if you combine the right ground cover and climbing plants. Always a classic, you can’t go wrong with roses. Their fragrance will spread throughout the neighborhood as the creep up pergolas and wind up pillars. Your backyard will take on a formal ambience, so break out the wine and enjoy with your lover, your family, and your friends. 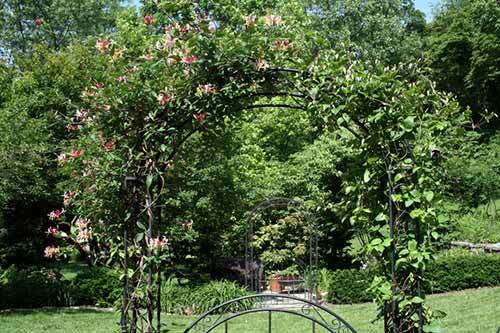 Nearly all honeysuckles are creepers, their large vines grow fiercely and quickly and one honeysuckle can grow large enough to conceal/ almost any pergola. Their trumpet-shaped blossoms emit a sweet scent that’s sure to entice. 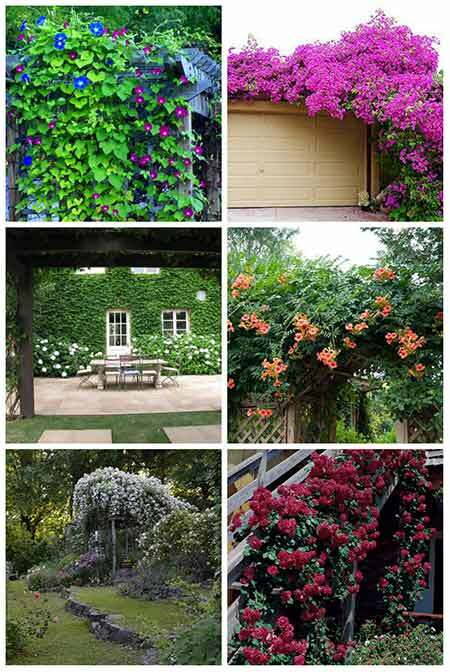 See 10 more best Climbing Plants for Pergolas and arbors on the next page.